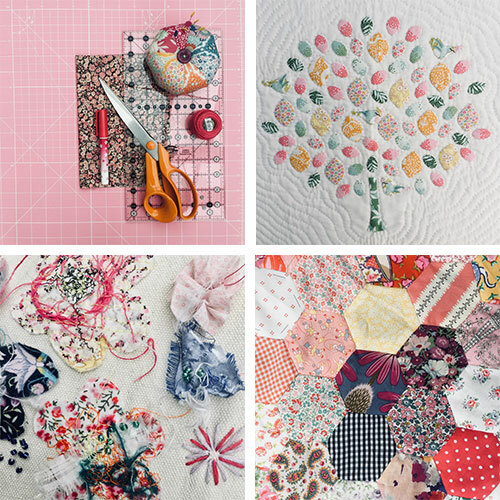 This machine-based workshop is working with 2.5” squares of fabric which you will be piecing together to form a “postage stamp” patchwork panel. You will then go on to extend it and make a tote bag. 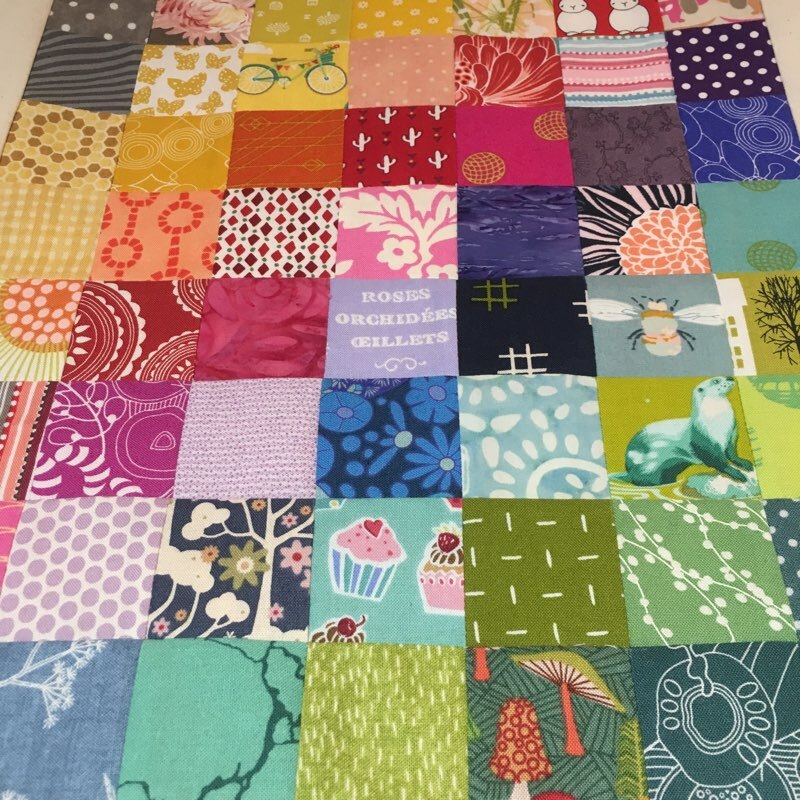 This class is a great scraps buster and a fun way to showcase lots of different prints and colours. 56 different fabrics for the squares – don’t let this number put you off! Read on…. 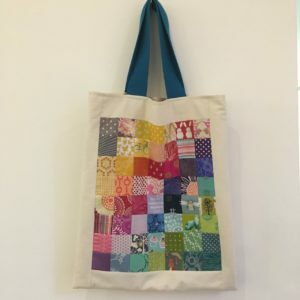 Although the workshop is listed as rainbow tote bag – you don’t have to make it out of 56 different fabrics – choosing/sourcing that many can be daunting so you can simplify your design by choosing half that amount and repeating the squares OR you can choose a tonal palette if you prefer and source as many prints in that colourway as you can. We will then cut the right amount in class. If you are using scraps remember you need each piece to be big enough to cut a 2.5 inch square from it or big enough to get TWO if you are using less prints and repeating them.